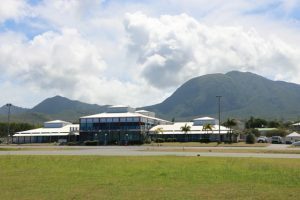 NIA CHARLESTOWN NEVIS (February 07, 2019) — The Nevis Island Administration (NIA) through the Nevis Air and Sea Port Authority (NASPA), is one step closer to upgrading operations at the Vance W. Amory International Airport at Newcastle, when a Concession Agreement regarding the development of the airport with B&L Worldwide Ltd. was signed on February 06, 2019, at Cabinet Room at Pinney’s Estate. 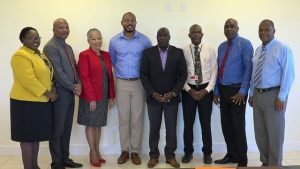 Also present at the ceremony were Mr. Wakely Daniel, Permanent Secretary in the Premier’s Ministry who signed on behalf of the NIA, Mrs. Hélène Anne Lewis, Legal Advisor to the NIA; Senior Ministers Hon. Eric Evelyn and Hon. Spencer Brand. Junior Minister Hon. 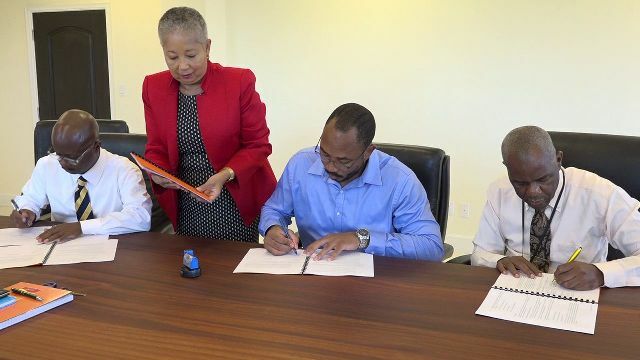 Hazel Brandy-Williams; and Mr. Stedmond Tross, Cabinet Secretary.